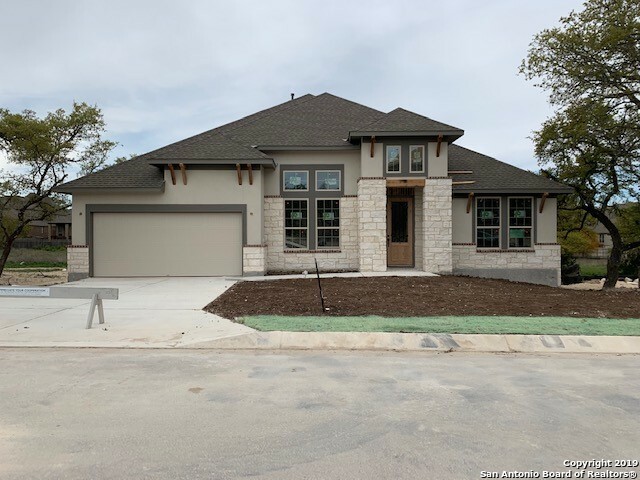 All FRONT GATE homes currently listed for sale in Boerne as of 04/20/2019 are shown below. You can change the search criteria at any time by pressing the 'Change Search' button below. "Beautifully appointed Highland Home tucked away in a private cul-de-sac boasts brick & stone exterior. Welcoming entry is flanked by dining & study that flows into central living with corner fireplace and two-story beamed ceilings. Gourmet kitchen is a delight with casual dining, breakfast bar, home office all overlooking the covered back patio. Extended master suite with spa bath, study, guest ensuite all downstairs. Three additional bedrooms, media & game room are up. Spacious outdoor living &"
"This 6Bed/5.5Bath home truly has it all! This spectacular home boasts TWO master suites downstairs, each with full baths. Remaining four rooms are upstairs including a THIRD master suite with a full bath attached that could double as a media/theatre room or office/study. High ceilings & open floor plan compliment the warm family room featuring a gorgeous stone fireplace visible in the island kitchen. The backyard features a second fireplace creating a perfect space for entertaining. 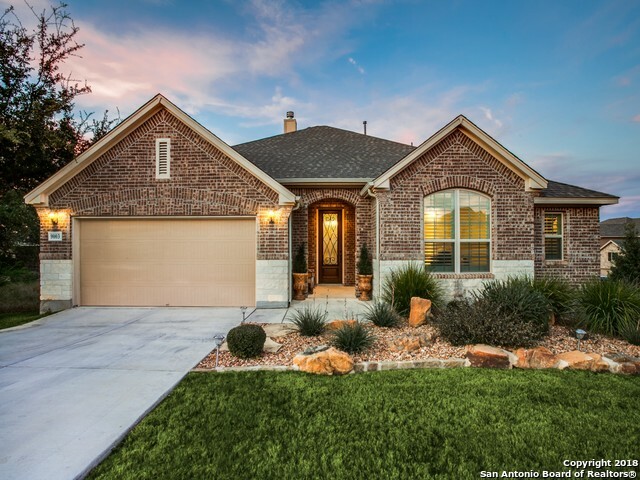 This home is"
"Beautiful single story home located on a green belt. Gourmet kitchen with 42 designer white cabinets, granite counter tops, large island built-in double oven and gas cooktop. Just off the kitchen, you'll find the large family room with built in cabinetry and stone fireplace, the perfect place to relax and unwind. Wood floors, 11' ceilings, and 8' doors throughout. Spacious master suite with garden tub, frame-less shower and oversized walk-in closet. Private study. 3-car tandem garage. 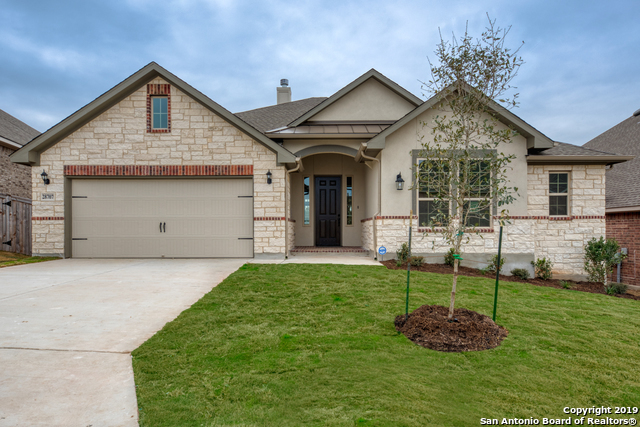 Boerne ISD"
"Wonderful gently lived in home in Front Gate of Fair Oaks Ranch. Featuring soaring ceilings, open floor plan, cozy brick fireplace, large covered patio overlooking a double greenbelt! This home offers an abundance of living spaces with separate game room, office and media rooms. There is plenty of privacy with the placement of the bedrooms. All bedrooms are downstairs with only the media room and a half bath being upstairs. 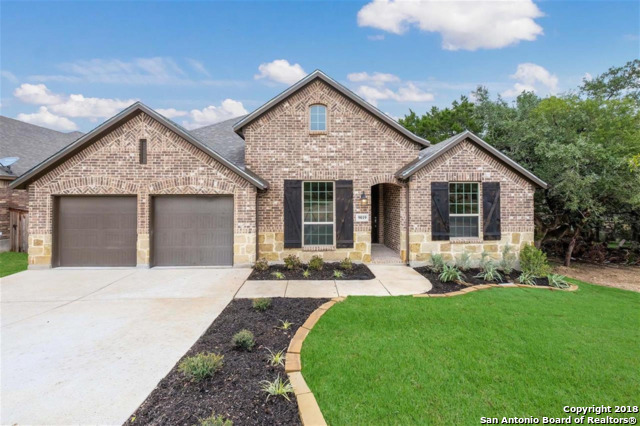 Single owner home which was custom built with over $125,000 worth of up"
"This Bryan floorplan is a beautiful single story home. 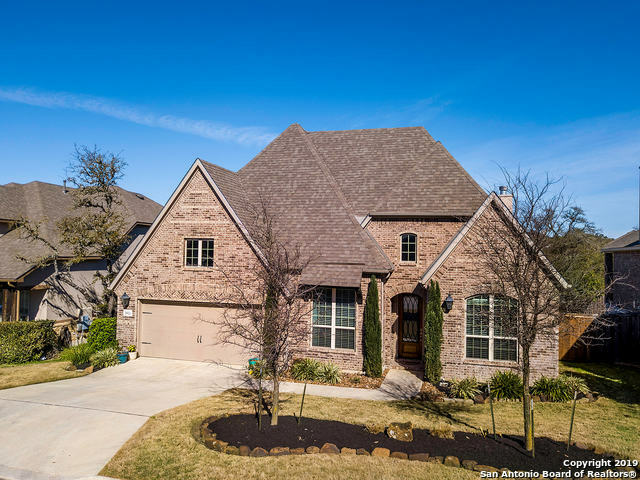 Spacious kitchen features a large center island, upgraded granite countertops, stainless steel appliances including double oven and gas cook-top, walk in pantry, abundance of cabinet space and eat in breakfast area. The kitchen opens to a welcoming Family room with large fireplace, ideal for entertaining family and friends. The private Master retreat has a soothing soaking tub, separate shower, dual sinks and separate walk in closets. Three"
"Centralized kitchen is a hub for entertaining in this well-appointed one-story home! This home has an extra-large center island, upgraded granite countertops, stainless steel appliances, walk in pantry, abundance of cabinet space. Kitchen is open to eat in dining area and a welcoming family room. The private Master retreat has a large tub, separate shower with rain shower head, dual sinks and two walk-in closets. The retreat is perfect for an office, sitting or media room, or however you see fi"
"Beautiful 1.5 story home with 4 bed., 3.5 baths. Gourmet kitchen with large island, gas cooktop, built-in double oven and a planning center. The family room features a cozy corner fireplace. Covered patio. Two secondary bedrooms downstairs. Luxurious master suite with private bath featuring a mud set shower, garden tub and a walk in closet. Wood flooring in main downstairs living areas. Walk-in closets in all bedrooms. Game room, bedroom and bath upstairs perfect for a teen's retreat." "Two story home great for entertaining! Spacious kitchen with large island, granite counter tops, stainless steel appliances, double ovens, walk in pantry, and abundance of cabinet space. Kitchen is open to eat in nook, formal dining room, and a welcoming family room with rock fireplace. The private master retreat has a large tub, separate shower, dual vanities and large walk-in closet. Wood floors throughout first floor as well as private study and powder bath. 3 bed., 2 ba. and game room upsta"
"This 4 bedrooms, 3.5 baths w/3 car garage home is AMAZING! 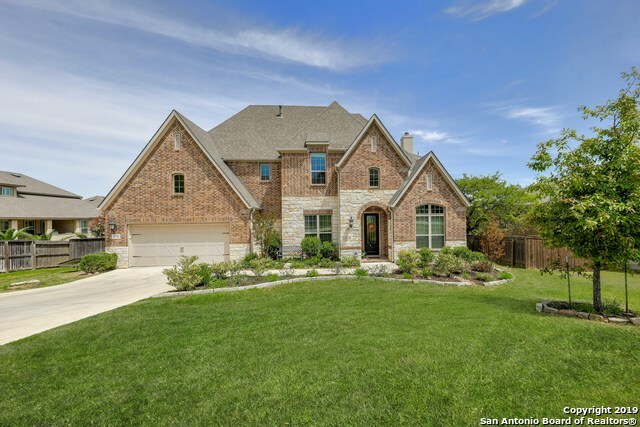 Lots of natural light highlight this upscale, contemporary home that features:a separate dining room, office, Mudroom, 2 fireplaces(living room & outside patio! 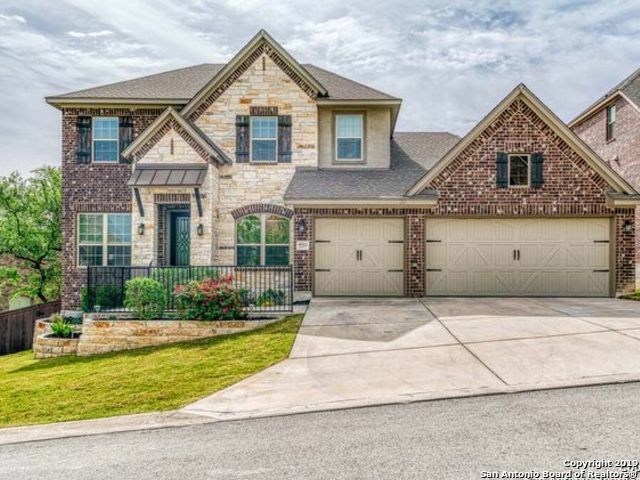 ), master DOWNSTAIRS, 24 x12 tile flooring, & a media room w/stadium flooring The kitchen boasts: sparkly silestone counters w/island, s/steel appliances, wine fridge, double ovens, 5 burner gas cooktop w/remote exhaust, H20 softener w/reverse osmosis. PREMIUM LOT; OVER 40k in U"
"MLS# 1376848 - Built by Highland Homes - June completion! ~ One of our most popular plans! Lots of natural light with (4) 8' tall windows at the family room and (4) 8' tall windows at the b'fast nook! Eleven foot ceiling heights add to the dramatic feel of this home! Centered study in the home for easy and quick access. Leveled entry to home with no steps! Full sod full sprinkler and a very energy efficient home! 16 SEER Trane AC unit, R-38 attic insulation and much more! Wow!" "MLS# 1340453 - Built by Highland Homes - CONST. 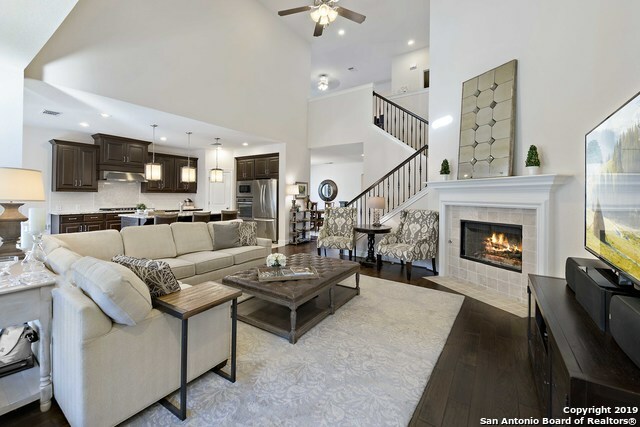 COMPLETED Feb 15 ~ Large living areas are spaced throughout this two story expansive home. 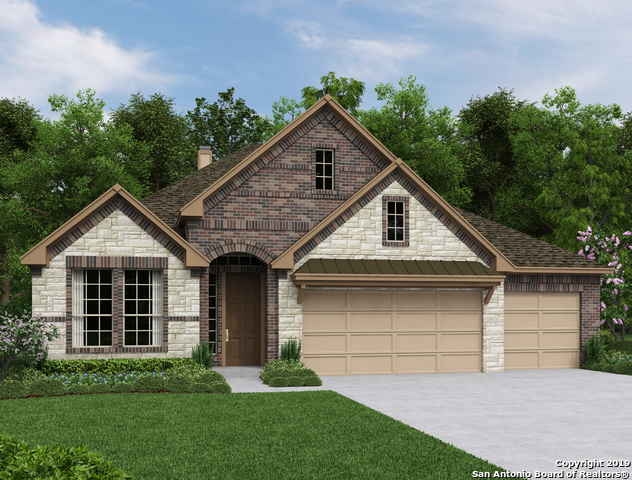 The 537 plan offers grand two story ceilings in the entry and family room, and multiple areas perfect for entertaining. The master suite, and an additional bedroom are downstairs for convenience and functionality. The kitchen has too many features to list - a must see!" "Enjoy all the luxuries of a brand new home without the added expense! 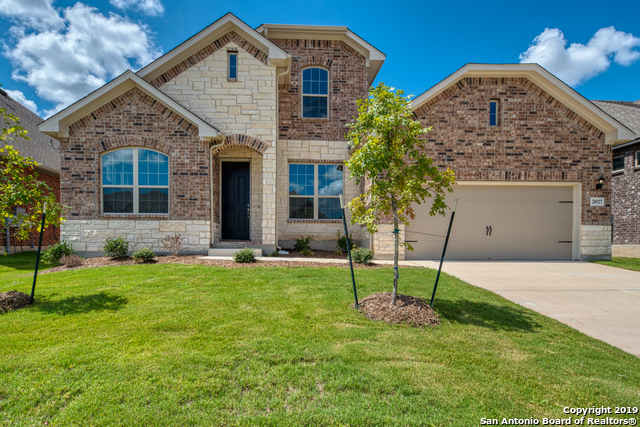 This beautiful home comes MOVE-IN READY, complete with new appliances, window treatments AND a decorator's allowance to add your personal touch! Gorgeous open floor plan with an eat-in island kitchen. Master and secondary bedroom w/full bath down, plus private study, game room, and flex/media room, on a lot that backs up to a greenbelt. LOWEST price/sq. ft in this picturesque neighborhood. Walking distance to elementary. " "Beautiful one story home with a gourmet kitchen featuring a large island, gas cook top and built-in double ovens. The family room features a cozy fireplace and double doors that open on to the covered patio. Luxurious master suite with private bath featuring an oversized, spa-like, mud set shower, and a walk in closet. Wood flooring in family, kitchen, brkst and study. Large game room. Private study on front of home. Three car tandem garage." "MLS# 1332962 - Built by Highland Homes - CONST. COMPLETED Oct 07! 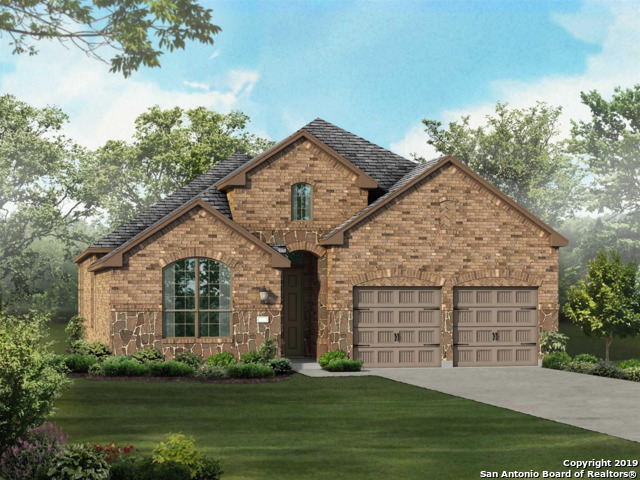 ~ Beautiful stone & brick one-story with downstairs entertainment game room. Plenty of natural light flows through the oversized windows. Entertain in your beautiful open-concept family room and expanded covered patio and later relax in your luxurious extended master suite. 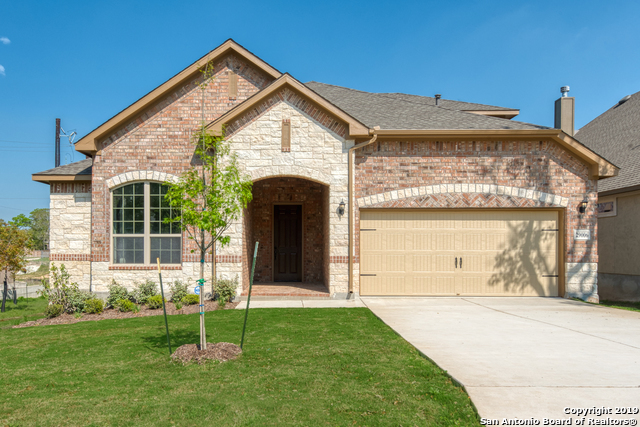 This desirable gated Front Gate community in the Hill Country is the place to be. Optional Country Club membership available." 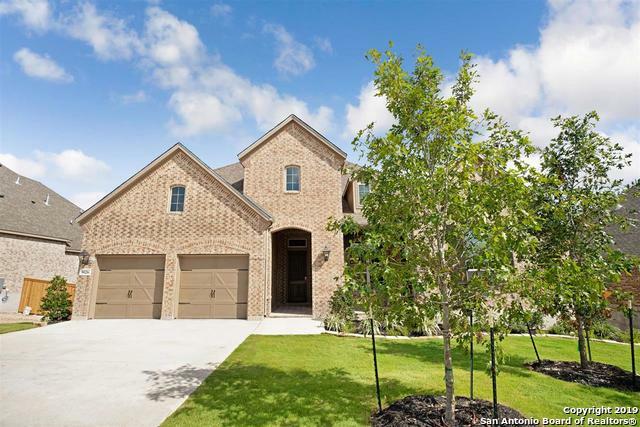 "Lovely Traditional Brick and Stone Single Story home located in a gated community in desirable Fair Oaks Ranch. 3 bed/2bath home with gorgeous hardwood and tile flooring, custom plantation wood shutters, picture windows and a fantastic floor plan. Large open island kitchen with a breakfast bar, gas cooking and abundant storage. Generous Private Master Suite with 2 closets. Covered back patio. Extensive professional landscaping,stone work and irrigation system. Large corner lot. 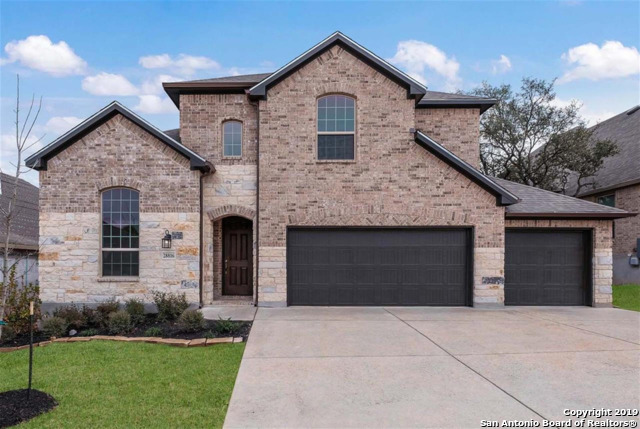 2 car garage.Move"
"This Antonio floor plan features a gourmet kitchen with large island, white designer cabinets, gas cooktop, double ovens, and granite counter tops. Large windows allowing natural light, open kitchen with a large dining room open to huge living area with stone fireplace and cedar mantle, wood floors, 10' ceilings and 8' doors throughout. Master bedroom in the rear of the home boasts roomy master bathroom featuring double sinks, walk-in shower with rain shower head and 2 walk-in closets. Large cov"